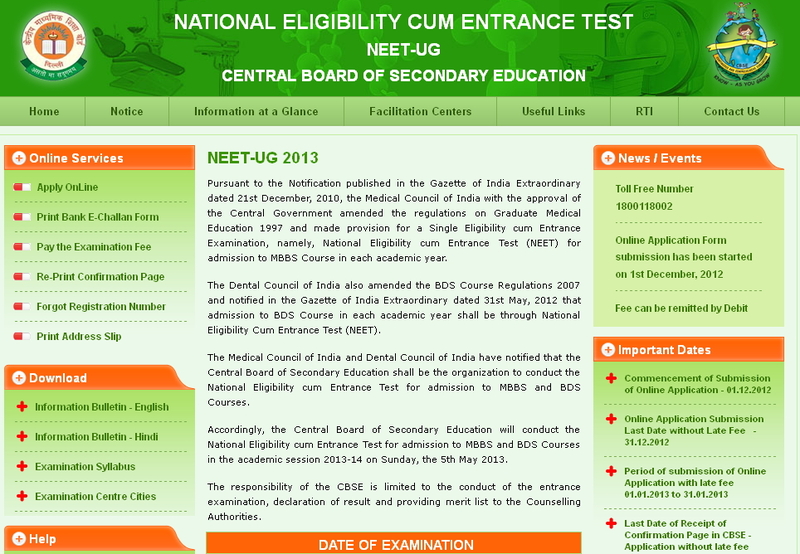 NEET is conducted by the Central Board of Secondary Education (CBSE) for the admission of MBBS and BDS in India. 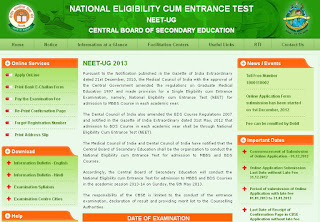 Medical Council of India and Dental Council of India had amended their rules and notified that the admission for the course will be done based on the NEET Exam. Before Applying online the candidate have to read the information bulletin carefully which is available in the website. Visit the website www.cbseneet.nic.in and click on Apply Online. Read the instructions and click on Fill the Online Application. Complete all the details. Pay the Examination Fees either through Bank Challan by Downloading Bank E-Challan Form and make the payment or through Debit or Credit Bank. Then Take Print out of the confirmation page and send the printout to CBSE.